This has become my favorite sock yarn, Cascade’s Cherub Aran. 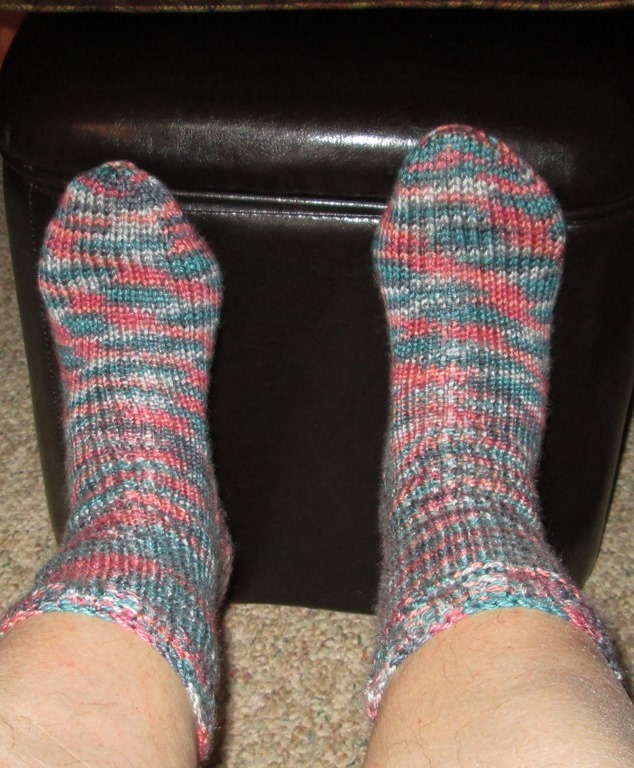 it is heavier than a regular sock yarn, but I like my socks heavier as I’m on my feet a lot. Obviously, also like my socks in flashy colors ! This yarn is 55% nylon, 45% acrylic so the ease is minimal; just the stretch of the stitch, the yarn itself doesn’t stretch much (and if you’ve ever knit a sock out of regular yarn you know what I mean! BUT you have to start somewhere and that’s a great way, with cheap yarn, to learn about the stitches, ease, fit, gauge, etc). They are also not going to shrink! Found this stuff in the children’s section at the yarn store cause its nice and soft!! have another skein and that will go on the needles today! 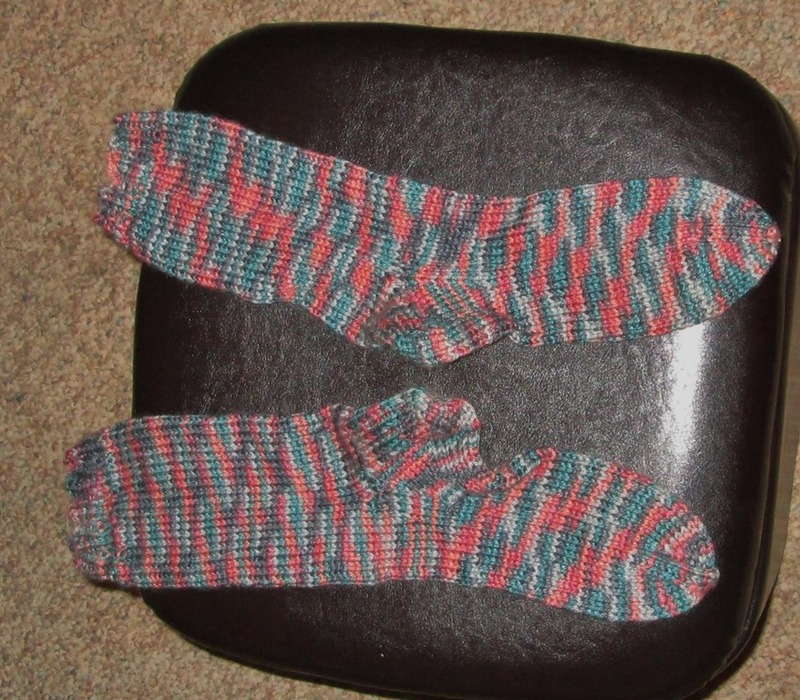 This entry was posted in homesteading, knitting, self-reliance, Uncategorized. Bookmark the permalink.